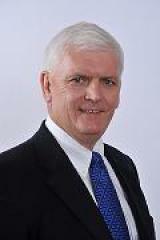 Is Doug McKay really the leader that Auckland needs? The appointment of Auckland businessman Doug McKay as the interim chief executive to steer Auckland through its Supercity transition is a bit like this old headline from the Onion satirical newspaper : “Rich Guy Wins Yacht Race.” All along, the odds were fairly high that some wealthy white businessman would end up being picked for the job. However, the selection of McKay, a former Sealords boss and liquor industry chieftain, is more interesting than it seems at first glance. Right now though, many Aucklanders might prefer to have a good stability manager. That is, someone who can listen, cajole, and convince people into recognizing and accepting compromises without them feeling they have been bludgeoned into submission. A sizeable number of Aucklanders are feeling disturbed and angry at the blitzkrieg waged by Local Government Minister Rodney Hide against the previous structures of local democracy in Auckland – and given this climate of suspicion, one has to wonder whether McKay is the ideal candidate. His track record as a CEO suggests he is someone who brooks no dissent, and who will analyse a situation, devise a solution and then act unilaterally. Some, no doubt, will applaud such traits as the mark of a man who gets things done, his way. Others will take them as grounds for doubting whether McKay will be willing, or able, to practice the sort of community diplomacy that is necessary, given the sensitive post to which he has just been appointed. More to the point, is he being overpaid? The question has nothing to do with the size of the business overseen by local government in Auckland. which – as the NZ Herald says – entails the management of assets with a market capitalization seven times the size of Telecom. It has to do with the fact that, as the recently ousted CEO of Independent Distillers, McKay gives every sign of having been the captain of a sinking ship. The firm that McKay recently headed has relied heavily upon selling alcopops, a product for which teenagers comprise an important part of the market. McKay took over the helm at Independent Liquor after founder Michael Erceg had died in a helicopter crash – and the firm is currently looking down the barrel of a deterrent tax on these products once Sir Geoffrey Palmer unveils his recommendations for the liquor industry later this month. Across the Tasman a similar tax has hammered the trade in alcopops, which only two years ago comprised 94% of the business of Independent Distillers in Australia, which McKay had also headed. Two weeks ago, his [McKay’s] business record took a knock when he was one of four men behind Hamilton packaging company Boxing On which was placed in receivership. The four, including former All Black captain David Kirk, got involved in the company only last month. So who is Doug McKay, Auckland’s new Chosen One ? And is getting him on board a genuine coup for Auckland – or was it a rescue mission for a career that was on the ropes? That company [Independent Liquor] has an infamous union-busting reputation. When McKay took over, many of his workers were on minimum wages and many joined our union. We wrote to him asking him to stop his managers bullying the staff and offer his workers a modest wage increase. He wrote back declining both requests. The union members have all since left the company. The company is the most profitable in the industry but its workers are still the lowest-paid. While this article does not purport to be a comprehensive review of McKay’s business career, it is possible to discern patterns in his management style, and in the corporate values that he espouses. 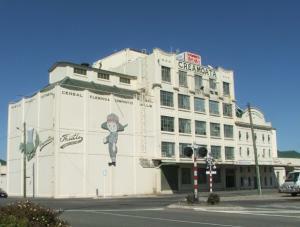 In late 2006, Sealords’ second fish processing plant in Dunedin was closed, affecting 80 fulltime jobs. At the time, McKay blamed (Nelson Mail, 19 October 2006) on escalating plant overheads and other business costs for his decision to shut up shop. Earlier in that year, when the plan to focus Sealords’ fish processing activities on Nelson was first announced, union officials had complained ( Nelson Mail, “Sealord Workers Demand Answers,” 28 January 2005) about the company’s ‘unilaterally’ proposed timeframe for consultation, of less than three weeks. In this earlier media report, McKay was cited as blaming the closure on the drastic cut in hoki quota. It was not only suppliers, unions and business rivals who were prone to getting nasty news, out of the blue, from McKay’s executive office. So were his own staff. On 15 July 2003, the NZ Herald announced (in a story called “Sealord Axe Falls On Managers”) that new chief executive Doug McKay had decided to make 70 staff at Sealords redundant. As the Herald report says : “Doug McKay, appointed to the job last September, has been silent about the restructuring and its impact on staff, but it is understood the jobs were largely in management..” McKay would not give numbers, but did say all the salaried jobs in the company had been ‘redefined.’ Said McKay: “We have just streamlined our operation. Its about running a more efficient business.” None of the above indicates a person capable of consultative, inclusive decision-making. 2. Corporate Values The Supercity system will be bedded in against a backdrop of suspicion about the centralization of power and council resources represented by the Hide model of governance. As indicated, there is reason for concern about McKay’s past record of secretive and autocratic decision-making. In a wider sense though, what do we know about the corporate values and attitudes that McKay has demonstrated during his long career in the private sector? The whaling dispute. As mentioned, McKay has a reputation for straight talking. He is a man, the Dom-Post said in its adulatory“Titan of the Deep” story in 2007, who does not mince words. That trait was certainly evident in this November 27, 2005 story by TVNZ about the controversial involvement of Sealords’ joint partner, Nissui, in the Japanese government’s bogus “scientific” whaling programme. The Earth Island Institute conservation group had responded to this linkage by calling for a boycott of Sealords products, on the grounds of the involvement in whaling by one of Sealords’ major shareholders. The Foreign Crews Issue. In 2006, McKay firmly expressed Sealords’ displeasure with the Clark government’s ‘code of practice’ and new pay scales for workers on foreign fishing boats. The code had been a response to a 2005 report that some foreign crew members were being paid as little as $195 a month. The fishing industry is important to our economy, but it cannot be built on the exploitation, mistreatment, underpayment, and abuse of foreign crews. The wage adjustments required under the new rules for foreign fishing crews are modest and will take effect over time. The Alcopops Issue. In 2008, in his capacity at the time as the head of Independent Distillers in Australia, McKay testified before a Senate inquiry and opposed a tax on so-called RTDs – the ‘ready to drink’ sugar flavoured alcohol drinks widely seen as a gateway drug for young teens, in that it uses the soda pop flavouring as a way for very young drinkers to overcome their initial distaste for alcohol. In his submission to a senate inquiry into alcopops available here and in a memorable duel on the Australian website Crikey with community liquor industry critic Geoff Munro available here – and continued here, and in the subsequent thread McKay staunchly defended the trade in RTDs. There and in subsequent media op ed pieces, McKay claimed the federal government had gone out of its way to vilify the spirits industry. He labelled the deterrent tax measures as a failure, and predicted they would backfire. The tax, McKay predicted, would cause a “substitution” effect whereby once RTD’s were priced out of reach, teens and problem drinkers in general would revert to beer, wine and straight spirits. One can query whether the CEO of a firm that has made hundreds of millions of dollars out of peddling alcopos to teenagers is the ideal choice to become the civic leader of the city of Auckland. Matt McCarten, in his recent NZ Herald column (entitled “Booze Peddler To Spin democracy Down the Toilet”) spelled out the methods via which McKay’s old firm monitors and exploits teen fads, styles and allegiance to musical groups to hone and promote its alcopops for maximum desirability. Independent Distillers former executive chairman Doug McKay has stepped down but remains on the board as a non-executive director. The initial attraction of Independent Liquor was its strong cash flows and the fact that Australia was an anomaly in the global alcohol market. The penetration of alcopops here was twice as high as that of any other market, including Britain and New Zealand. But this all changed when the Rudd Government decided to reverse the Howard government’s tax concession on alcopops last year and tax these drinks at the same rate as full-strength spirits. 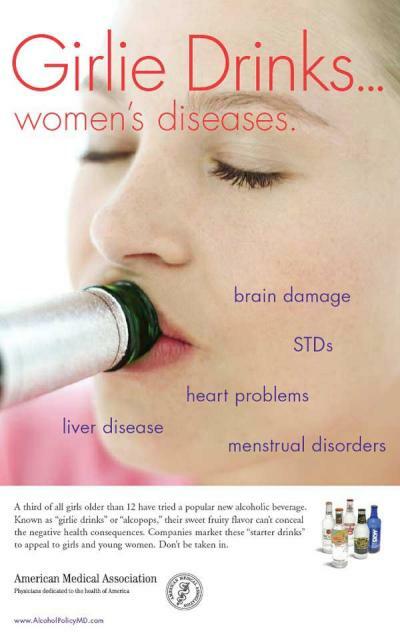 They did this to curb binge drinking among teenagers attracted to the drinks, which are generally aimed at young adults. Before the tax was introduced, AC Nielson data suggested that the alcopop market peaked at 310 million litres for the year to April last year. A year later, the market had hit a low of 218 million litres. Independent was hit hardest of all. In the year to April last year it sold 67 million litres of alcopops. In the year to April this year, Independent’s volume had fallen to 43 million litres, a drop of 36 per cent. By October it had fallen to 42 million litres, according to AC Nielson. While other producers had a slight upturn in spirits, only in part mitigating their alcopop losses, Independent Liquor’s spirits volumes hardly moved. Besides the falling profits, believed to be down at least 40 per cent in the past two years, Independent has an unusual model and culture that involves very little advertising but aggressive sales execution based on deals and personal incentives for store managers…They would [also]be nervous about the Palmer review, which could easily recommend an alcopop-tax increase in New Zealand similar to that in Australia. This would be devastating for the group, which relies heavily on the New Zealand business. Independent Liquor is just one of a number of assets that private equity players have bought in the past few years that are struggling. In other words, and as I mentioned at the outset, Doug McKay’s most recent corporate experience has been as the captain of a sinking ship. Couple that with his total lack of local government experience and a secretive, autocratic management style, honed most recently in the trade of alcopops to teenagers and others. Within the private sector, McKay’s skills may still retain a market value – unfortunately, we will now never know what that value would be. Add it all up and you have to wonder what sort of bargain Rodney Hide has just foisted – to the tune of an annual salary effectively totaling $742,500 – upon the good citizens of Auckland.